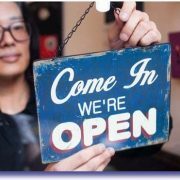 Some of the most important decisions a business owner will make are about their premises: whether to rent or buy, where to base the business and even the style of the property are important to get right. For those with a self-managed super fund (SMSF), there is one more option to consider: landing business premises and an investment property at the same time. Figuring out whether buying your commercial premises through your (SMSF) is an option that’s suitable for you is imperative to the success of your investment. There can be many gains through purchasing commercial property through your (SMSF), including creating a certain level of freedom by smart use of resources. “It frees up capital for the business owner. They are unlocking super to do more for them,” explains a finance specialist. “There’s a tremendous level of protection of assets within super, so it ticks the asset protection box for a lot of SMEs that may be subject to litigation due to the nature of what they do,” the specialist says. “While it is in accumulation phase, income tax is only $0.15 in the dollar. In retirement, as the law stands, its zero,” says the industry employee. This means that the money accumulated in an SMSF through the investment does not get taxed. On the flip side, there is an absolute element of responsibility on compliance matters. You are the trustee of an SMSF and you need to understand what those responsibilities entail. Having a SMSF means you can’t give all this work to someone else to do for you, but you can seek advice. At Brickhill Financial Solutions we work with accountants and financial planners to form an experienced team to assist you with your requirements. Many people dream of running their own business but four out of five never do it. If you’ve got a good idea, develop a business plan, then talk to an accountant or business adviser about your finance options. A line of credit should be “fully fluctuating”. ie It should only be used as a short-term financing option rather than for the purchase of major commercial plant or equipment. 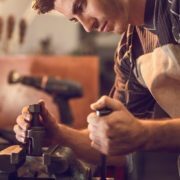 To meet an emerging need, new business finance products have come onto the market to help people buy franchises and equipment. Lenders can be more inclined to provide franchise finance because, while your business might be new, it could be based on a proven formula. To discuss your business finance options, call us on 1300 252 088. Is a Zero percent deal that great? Zero percent financing sounds great, but as with so many things, there are often strings hidden in the deal that could end up costing you money. Think about it: The car financing company isn’t really lending you money for free. It would go out of business pretty quick if that were the case. The zero percent deal is usually offered through the manufacturer’s finance arm, and is a marketing strategy. Even so, when you are paying no interest, the company has more of an incentive to make up the lost profit in other areas. In other words, you may get the sweetheart zero percent financing deal, but find it difficult, or even impossible, to negotiate a better price and the financing is often limited to a particular spec and possibly even a colour. Great, if it is what you really wanted. These rates are also generally reserved for customers with nearly flawless credit. Your average buyer may well find that once they get in the door, they don’t qualify. But at that point, the dealer already has them on the hook. On most occasions, it is almost always cheaper to negotiate a great discount on the price of a new car, and arrange the most affordable independent finance available in the market place. There are other hidden catches sometimes tied to zero percent deals that could end up costing you money, including fixed servicing requirements, along with insurance and warranty clauses. Make sure you read and understand all the fine print before signing on the dotted line. As a general rule, you will probably be better off negotiating the best deal at the dealership and then securing your own financing. A simple rule of thumb is to compartmentalise your car buying experience. Sell your car old car independently. 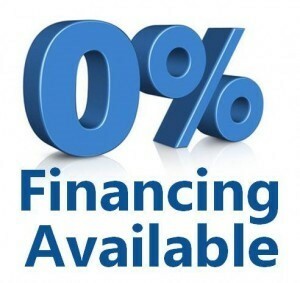 Give us a call on 1300 252 088 to discuss your car financing requirements. http://brickhill.com.au/wp-content/uploads/2017/03/zero-percent.jpg 283 300 admin http://brickhill.com.au/wp-content/uploads/2017/03/brickhill-340-x-156.png admin2017-03-10 12:39:102017-03-17 16:37:57Is a Zero percent deal that great? 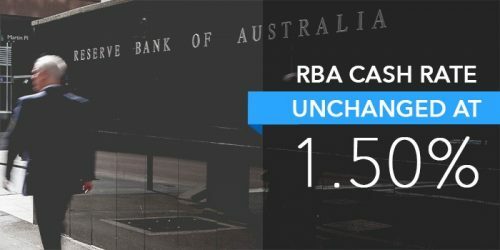 The Reserve Bank of Australia has today announced the outcome of its board meeting and it has decided to leave the official cash rate unchanged. As widely predicted the RBA has kept rates on hold as it balances a swag of recent positive economic news around growth in the economy, unemployment, house values and building approvals against a continued lack of wages growth and business investment. 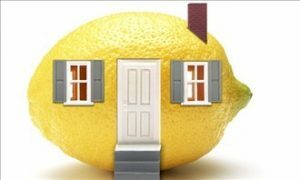 There’s no shortage of horror stories about people who have bought a property that looked fine on the outside but which, in fact, hid serious defects, in other words a lemon. Major problems and faults can cost property buyers many thousands of dollars to fix (that’s if they’re fixable at all), not to mention the emotional strain of watching your ”successful” purchase turn into a disaster. So how can you avoid buying a lemon? The rule, as always, is to buy your home using your head, not your heart. When inspecting a property, you should do two types of checks. The first is your own initial appraisal and the second – if you’re serious about the property – is to bring in the experts, who can ensure that the home is free from defects. When inspecting a property, don’t just look at its upsides but be on the hunt for potential downsides as well. 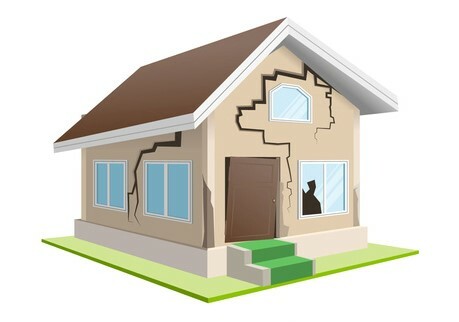 This will not only save you from buying a disaster waiting to happen but can also save you the cost of getting a professional inspection if you decide the problems are severe enough to know the property is not for you. A good way to go about your inspection is to divide the property into three areas – the inside, the outside and the surrounding land and structures. The following is a list of things to look for; however, you should also add anything else you feel is important to review. Insider’s tip: If you have friends or family who have recently bought a property or have expertise in this area, ask them to come with you. They may be able to give you some pointers on what to look for and, with less emotional investment in the result, they might be more objective. Sticking windows: If windows don’t open and close properly, the frames may have warped (if they’re wood) or rusted (if they’re metal). New paint jobs can hide both. You can tell if wood is going to rot by pressing it with your finger – if it’s soft, there’s a problem. Mould: If there’s mould in the bathroom, it’s usually a sign that there’s a ventilation problem that needs to be fixed. In addition, you’ll need to re-grout and repaint. Pests: Look for signs of pest trouble, such as rat or mousetraps or poisons. Sagging floors, springy floors and steps, as well as hollow-sounding beams, can all be signs of termite damage. If you’re serious about buying a property, you should think about getting a professional pest inspection. Floor coverings: Check the carpets for wear and tear and decide whether they’ll need replacing. Lift any rugs to make sure they’re not covering any damage. Fly screens: Make sure fly screens are fitted where necessary and aren’t damaged. They can be surprisingly expensive to replace. Kitchen and laundry: Check the age and quality of the benchtops and cupboards and make sure there’s room to accommodate all your appliances. Renovations: If you’re planning to renovate, it pays to go a step further and check the ease with which tiles can be lifted and carpets removed. If you can, and it’s safe to do so, get under the house to see if floorboards can be polished or whether they need replacing. Check the quality of the fixtures and fittings to see what needs to be updated or restored. Think about how much work the kitchen and bathrooms will need. Power points: Check that there are enough points in the right places and think about whether you’ll need to add more. Furnishings: If you already have furniture, think about how it will fit with the property, whether you’ll need to replace it and how much additional furniture you’ll need. Fuse box: Make sure it’s modern and meets safety requirements. If you have doubts, get an electrician to check the box and the house wiring before you buy. Guttering: Look for leaks, rust, warps, holes and signs that the gutters overflow. Think about whether the leaves from nearby trees will cause problems. Check whether the downpipes and drainage are in order and fixed well to the storm water drain. Asbestos: Ask whether and where asbestos has been used. Most often, it’s found in walls, roofing and fencing. It is always best to have asbestos assessed and removed professionally. Termites: Ask whether the area is prone to termites or other insects and double-check what you are told with the local council. Check for termite damage wherever any wood touches the ground, such as alongside walls, pergolas and decking. Trees: Trees nearing the end of their lives can pose a danger and be quite expensive to remove. Check the age, condition and type of trees in the garden and check whether any trees – including those owned by the neighbours – have the potential to damage your property by falling or dropping branches. Garden: Check the general condition of the garden and consider how much work will be required to maintain or improve what’s there. Check whether there are sufficient taps for watering and whether the garden’s size and shape will meet your needs. Insider’s tip: It is often difficult to get approval from the local council to remove trees, something that can affect your landscaping and renovation plans. After your inspection, reflect for a moment on what you’ve discovered. Document your findings and estimate how much any repairs will cost. Weigh up whether the costs outweigh the benefits of buying the property. If you still want to proceed with the purchase, it’s time to bring in the experts.